Neat, clean, easy to install, solves lots of problems. All the engineering and guesswork is done. 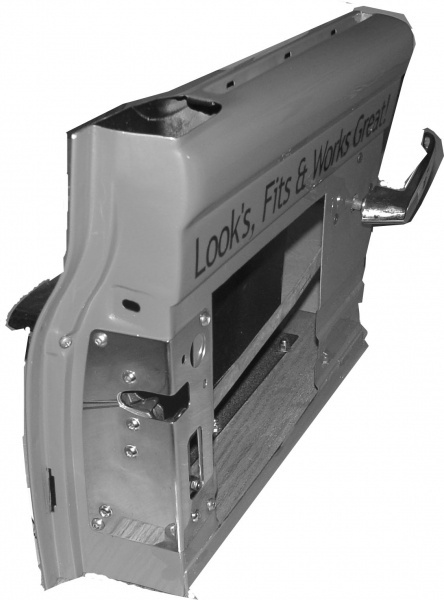 Uses locking bear claw latches, which are included and assembled as shown with all the linkage and plates for your f-100. (will not fit any other makes or years, sorry) Uses stock door handles inside and out, and stock outside key lock.! Plates can be welded or bolted in, and cover the only small cut made. 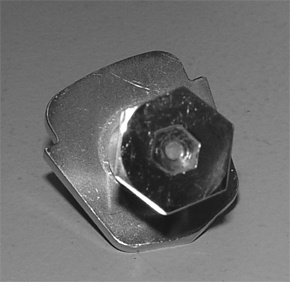 Striker and pin are included and bolt on, covering the original striker location. perfect for an already painted truck, Really neat kit !!!! our latches have internally threaded mounting holes and double lever releases for horizontal or vertical release motion - both of which give you a better latch. NOT MADE IN CHINA, Look at the edges of the rotor and trip mechanism. 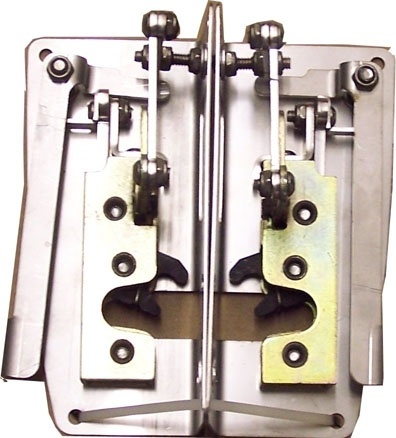 Ours are ground smooth, which greatly improves the operation of the latch both opening and closing. This is not the universal bear claw latch sold everywhere and a couple universal plates. 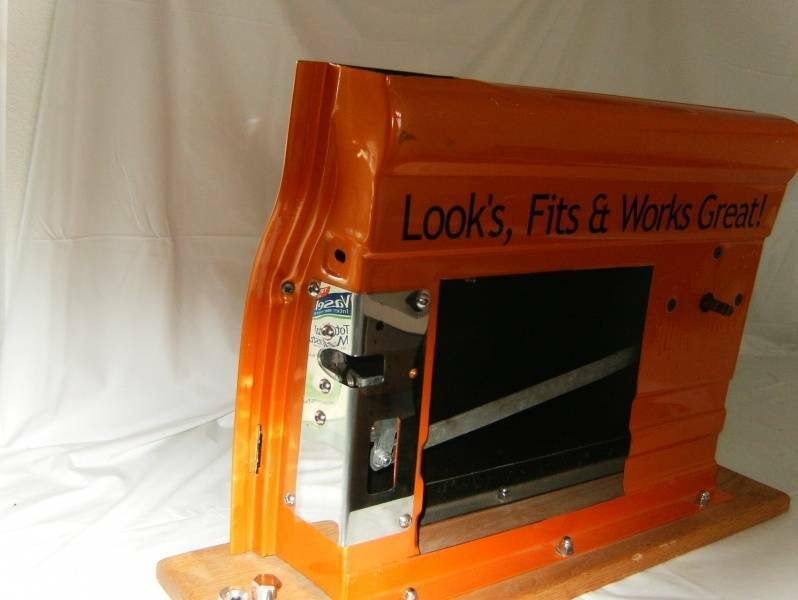 That's what makes the difference between those that just sell latches and us, who consider latches an important safety piece for your truck and make things JUST FOR YOUR TRUCK.